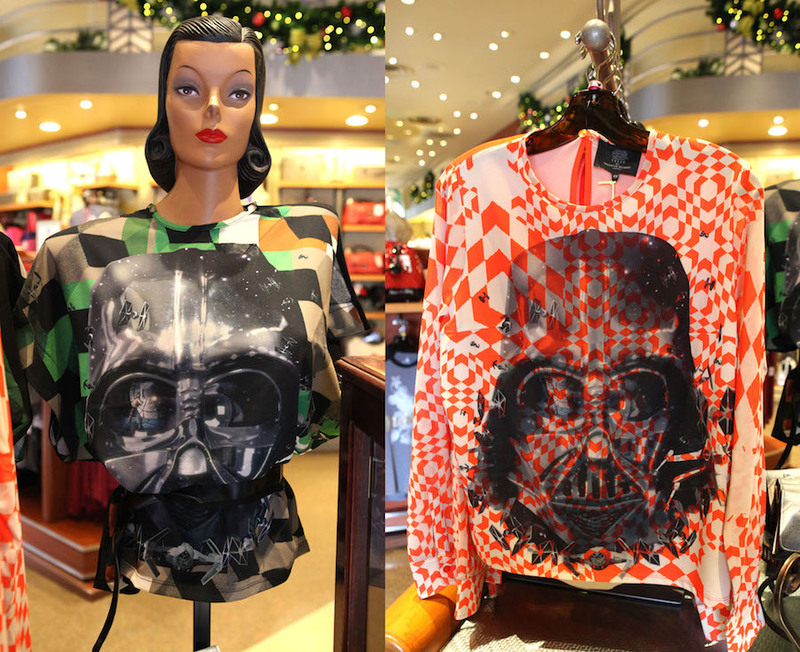 Themed character merchandise is a popular souvenir; photo c. Disney Parks. 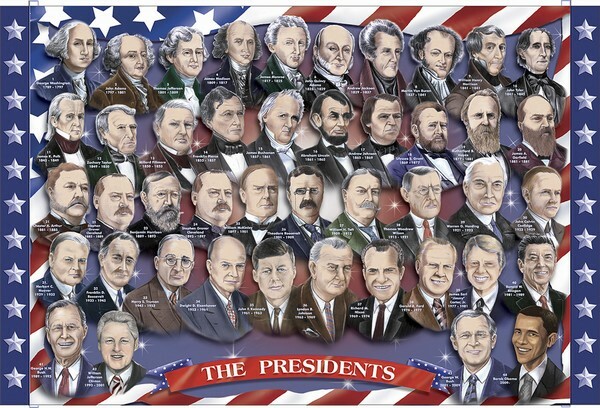 Puzzle of the Presidents is a popular souvenir from the U.S. Capitol, Washington DC. Metropolitan Museum of Art pencils are a long-lasting, useful souvenir. 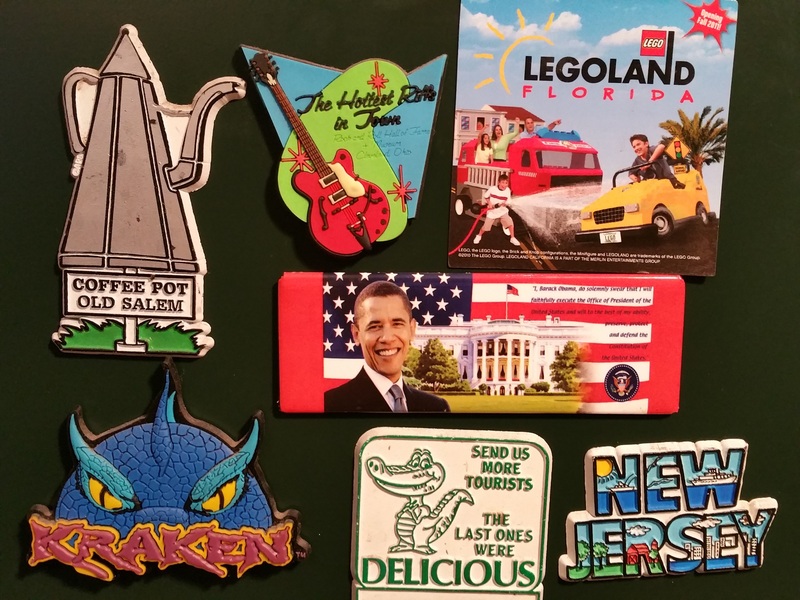 Souvenir travel magnets evoke all sorts of memories. 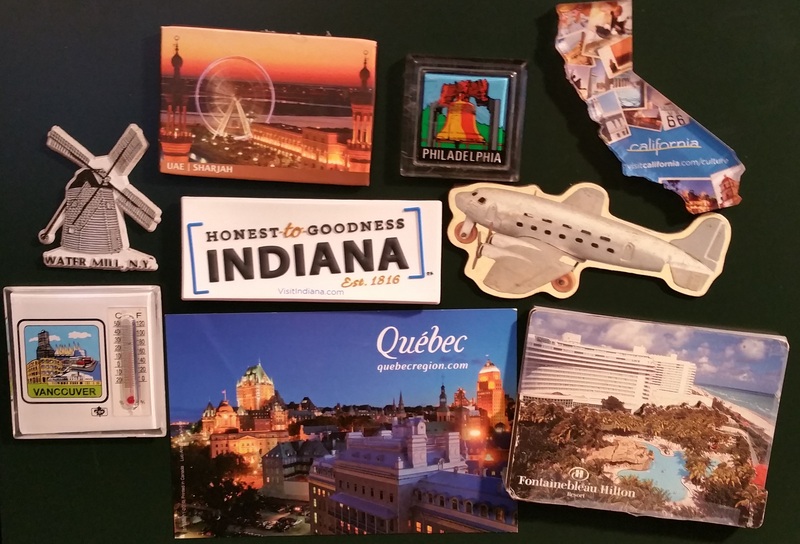 Travel magnets are fun, cheap, easy to pack and indestructible souvenirs. Souvenir crazy? We are. With Americans spending $5 billion on souvenirs annually, we want to share shopping tips that should reduce your family’s chances of buying junk and maximize the odds of bringing home a keepsake. Many travelers are tempted to spend the last of their local currency at the airport on Toblerone, the Swiss prism-shaped chocolate which sells 25% of its global output at Duty Free. We say avoid airport shops, especially the over-priced Duty Free chain. The exception to this rule, says Susan Noonan, General Manager of Product Design and Development at the Metropolitan Museum of Art, is the exclusive branded airport store. Souvenirs from the Metropolitan Museum of Art are designed in-house. While revenues support the museum’s programs, merchandise also helps fulfill The Met’s mission to expand appreciation for its collections. The first museum reproductions, engravings of 10 master paintings, were sent to European museums in 1871. Today, visitors who haven’t found the perfect souvenir in the Museum’s many gift shops, can look in airports or shops in Australia, Mexico and Thailand, as well as in a mail-order catalog and online. 2. Buy something local (or that looks local). Parents will be relieved to hear this is a very broad category. According to Souvenirs, Gifts and Novelties magazine, a place like South Dakota’s Rushmore Cave gift shop stocks souvenir plush toys of local animals (think bison, coyote, racoon seen outside the car window), and displays them on lower-height racks to entice visiting children. You can get creative, too. One teen we know invested in a picture of the Istanbul skyline made of painted tiles, bought at the Grand Bazaar. Another brought home a hand-painted paper parasol from Thailand and used it as a lampshade. Give kids a souvenir allowance and encourage them to buy a Statue of Liberty key chain, Mt. Rushmore fridge magnet or themed shot glass (available everywhere) – all cheap, easy to pack, and of lasting sentimental value. Sandy says practical items like clothing and mugs with destination imagery are big sellers, as are the cheap travel magnets. President Mark Sobelman adds, “One of the oldest and most collectible of the souvenirs happens to be the “Floaty” souvenir scenic pen. There have been many thousands of souvenir designs produced over the last 50 or more years and you can find many being traded and collected on ebay and auction/internet sites. He marvels, “Someone even had a collection that they were offering to sell of over 200 pens.” At the Lagunitas Brewing Company north of San Francisco, for example, families who come to meet farm animals and tour the brewery buy other practical souvenirs like Mason jars, durable drinking glasses which sport the popular craft beer’s famous dog logo. 4. Make it a good story. Souvenir comes from the French word for memory or remembrance, and the best ones evoke a travel experience you can relive every time you see them. Remember when you toured a maple-sugaring house and ate pancakes? Commemorate the experience with a log cabin or maple leaf-shaped glass bottle full of the organic Grade A amber syrup sold by the Brown, Coombs, or Bascom family farms and, every time you refill it, you’ll recall that day. Similarly, carrying home the quintessentially British Walkers Shortbread in a double-decker bus-shaped tin is a better memento than the same biscuits in plastic wrap. This rule does not apply to hunting or other wilderness activities, as many items will be confiscated by your country’s Customs Department when you return. Remember buying your first ID bracelet made of alphabet beads at the Farmers Market in Los Angeles? Or finding a mini license plate bearing a loved one’s name on a revolving rack? Personalized souvenirs have evolved with the times, thanks to technology. For a decade, guests at Disney Parks have been able to customize certain souvenirs of their visit, including the parks’ popular Build-Your-Own-Lightsaber experience. “Guests love [it] as they have lots of choices to make a lightsaber that is truly unique,” notes Cody Hampton, a merchandiser with Disney Theme Park Merchandise who develops Star Wars products for Disney Parks. His team recently introduced 39 new pieces to shops at Disneyland, Walt Disney World, and Disneyland Paris so visitors can create lightsabers resembling those used by characters in the Star Wars Universe. A little Astromech droid action figure and personalized Star Wars-themed phone cases are among other build-your-own merchandise available at both Walt Disney World Resort and Disneyland Resort. Suppose you were too busy having fun on vacation to buy anything. Maybe you want to put a souvenir of a great summer road trip under the Christmas tree. The internet can fix that. A site like HappyMall.com sells more than 2,000 authentic souvenir items from the 50 states and countries ranging from Canada to Russia, online. Items range from $3 magnets to artworks priced in the thousands of dollars. They’re used to shipping British “Keep Calm and Carry On” mugs and Japanese Kokeshi Dolls to collectors and travelers who couldn’t carry their purchases, or simply forgot to get something for family or friends. What about the HappyMall.com shoppers who fill a cart with souvenirs before they go, and have them shipped to their hotel? Sound like a mom hack? It is. These travelers bring home the unforgettable memories without having wasted time shopping to remember them. My family has been in the wholesale end of the souvenir supply business dating back to 1952 when my Grandfather came out of retirement at age 51 and bought a local wholesale jobber distributor that sold some small wooden novelties made in the Ozarks. Along with my father’s youth, energy and drive they built a small regional business into a national Importer/Distributor with regional warehouses serving the souvenir needs of Tourist attractions throughout the US. It’s an interesting story and one that started with cheap trinkets Made in Japan that transformed Asia into the powerful Manufacturing Revolution that feeds thousands of Big box Retailers today. One of our oldest and most popular local attractions here in the midwest that is still operating under the original Family is Meramec Caverns. The attraction has been largely shut down early this spring due to some troubling environmental problems which I believe developed after a regional Flood of the Meramec washed out the visitor center. I believe its set to reopen soon. This is the type of “Attraction” that has kept families on the road and vintage souvenirs making a comeback.